The G88 is probably the best known of all TAR-OX discs and the most istantly recognisable with its multiple radial grooves on the braking surface of the discs. 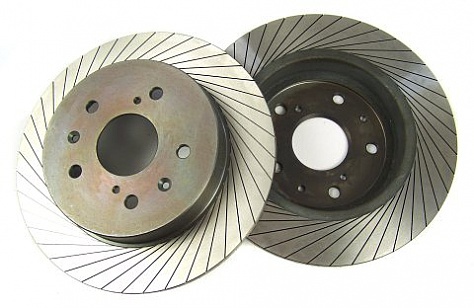 These grooves are designed to generate a turbine effect which dissipates heat build up, allowing the discs to run cooler and reducing the possibility of warping, vibration or cracking. All G88 discs are heat treated for strength, hand finished to ensure the smoothest possible braking surface and TÜV approved.